If you or a loved one has been diagnosed with mesothelioma, Harowitz & Tigerman can help. Our trial lawyers have decades of experience fighting for people afflicted with this deadly disease. Maybe you are a daughter who wants to know why her father was hurt when he worked in California and who is responsible; maybe you suffered from asbestos exposure in California, or perhaps you are a Bay Area neighbor of ours whose family member worked with asbestos and brought asbestos fibers home on their clothes. In any case, there are some important facts that you should know. Malignant mesothelioma is an uncommon tumor, but it is clear that virtually all cases arise in people who were exposed to asbestos fibers. 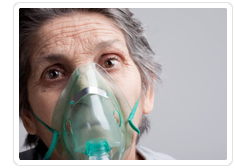 Mesothelioma and asbestosis are life-threatening diseases: although new treatment protocols provide hope, the median duration of survival, according to the literature, is 14 to 18 months. Despite the limited survival rate for mesothelioma victims, in most states it can take 3-5 years for a mesothelioma claim case to reach the trial stage. However, because of our extensive experience in complex asbestos litigation, the lawyers of our firm know how to take advantage of California’s special procedures, which can get a mesothelioma lawsuit to trial in just a few months. Right now, you need expert and personalized mesothelioma help. It is not an accident that we lecture other attorneys and insurance adjusters at nationally recognized asbestos conferences. We have spent more than twenty years focusing on product liability, toxic injuries, asbestos, mesothelioma, and wrongful death, so we know this area well. In fact, some of our cases have shaped this area of law and have created precedent for other cases to come. Now, our asbestos attorneys have founded a new firm so that we can provide you with the personalized attention that you deserve. 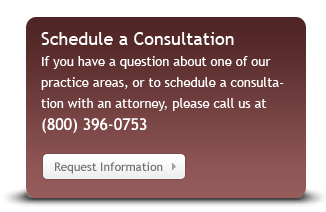 Contact us today for a FREE initial consultation with one of our mesothelioma attorneys. We work on contingency, meaning that we charge you no attorney’s fees until we win you money. Also, if you are unable to make it to our San Francisco, CA law offices, we can come to you. The San Francisco / San Jose mesothelioma lawyers at Harowitz & Tigerman represent clients diagnosed with mesothelioma and suffering from personal injury caused by asbestos exposure throughout California including San Francisco, Oakland, San Jose, Sacramento, Los Angeles and other communities in the state of California.